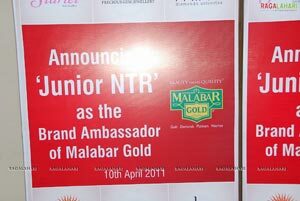 Young Tiger NTR signed as Malabar Gold new brand ambassador. 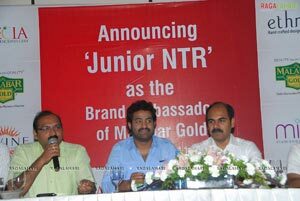 On this occasion a press conference was held at Grand Kakatheeya Hotel today to announce NTR as the brand ambassador of Malabar Gold. 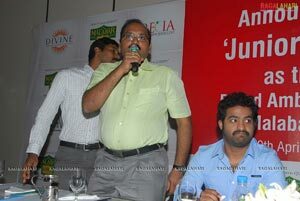 NTR, along with the regional director of Malabar Gold, O Ashar and few others participated in the event. Later Regional Director of Malabar Gold, O Ashar explained about the high quality of their gold.